This guest suite design was part of a show home redesign charity project, with proceeds from ticket sales benefiting the Children’s Hospital. 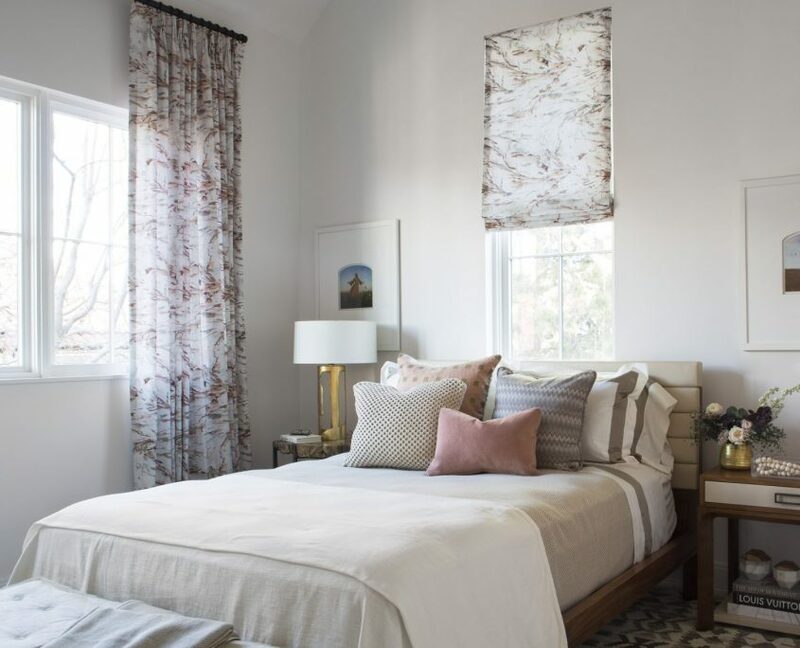 For this particular showhome, K&Z was charged with creating a guest bedroom that existed harmoniously with the homes existing architecture: minimal, clean and fresh. Knape & Zibell wanted to create a space that was not overtly feminine, while still being a restful and tranquil retreat for guests. The inspiration for this space was pulled directly from the draperies, which ultimately drove the color palette for the room. 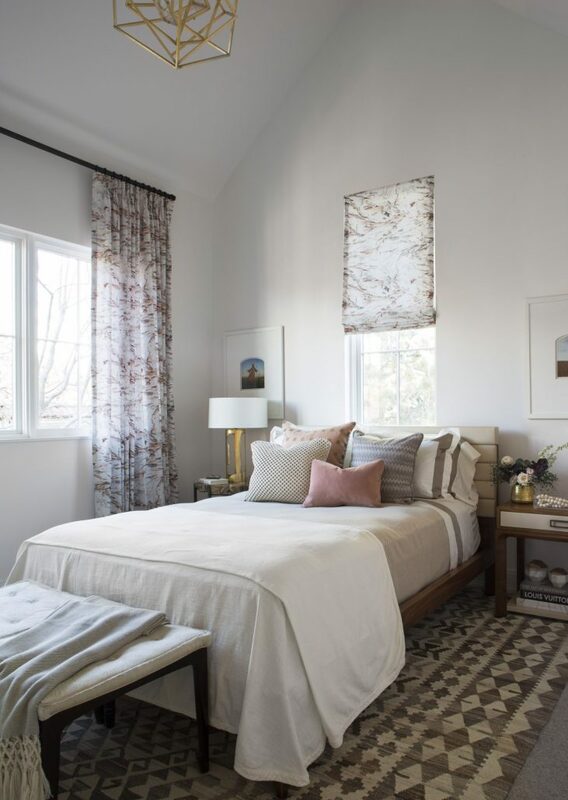 K&Z decided to work with the Casamance fabric because of its gorgeous, vibrant watercolor-esque design, which initiated a series of pattern play throughout the room. Aesthetically, K&Z wanted to curate a mix of textures and soft patterns. To create a relaxing and inviting space, materials including mohair pillows and an alpaca throw adorned the bed, while a flat weave wool rug provided texture underfoot. The benches at the foot of the bed were upholstered in a soft hide, and the bed frame itself was comprised of rich wood with a leather headboard. The combination of natural and organic materials creates a warm and inviting space that guests would be eager to climb into. Atop this airy and clean design is a gold Kelly Wearstler light fixture, flanked below matching gold accents on the side tables. The hint of textured gold added a hint of glam without overwhelming the room.